Suddenly I smelled a wonderful fragrance. 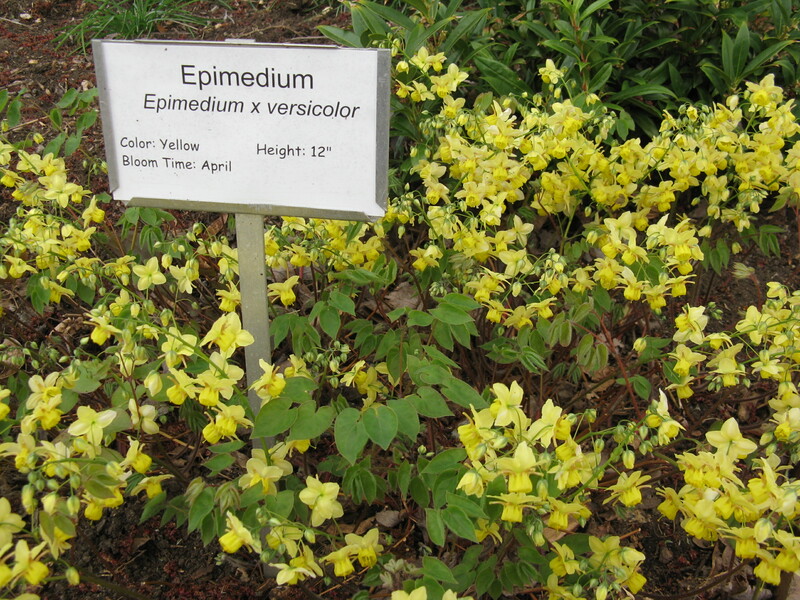 I was kneeling down in the Asian Garden to prune back last year’s dried up heart-shaped leaves from the perennial commonly called Bishop’s Hat, Barrenwort, or Fairy Wings (Epimedium versicolor sulphureum) so that the beautiful yellow blossoms could be seen come April. I looked around trying to figure out where the scent was coming from since it was mid-March and I wasn’t aware of anything that fragrant nearby. Then I noticed that my knees were almost touching the tiniest of flowers on the small evergreen shrub officially named Sarcococca ruscifolia, but most often called “Fragrant Sweet Box.” It was a heavenly scent. Being close enough to the ground allowed me to enjoy its spring gift! How often do we miss things because we are just too busy to “slow down and smell the flowers?” I’ve been working in the Library Garden for over 16 years and the Sarcococca/Sweet Box plants were donated to our Asian Garden by Glencarlyn plantswoman Tina Greene at least 8 years ago. I only truly appreciated and acknowledged this “sweet” gift quite recently. From now on I will return to Tina’s gift with my nose tuned in and my heart full of gratitude. As Adrian Higgins noted in his April 5, 2012 article The Fragrant Garden, “Spring is the time plants are feverishly blooming and competing for the attention of pollinators, and fragrance is a way to turn a bee’s head.” At the Library Garden we plant many bulbs, flowering perennials, shrubs, vines and small trees to attract pollinators and create a healthy ecosystem for a variety of critters through all the seasons of the year. Take time this spring to both notice and get down close enough to smell the scent of our hyacinths, daffodils, lilac, Goldflame honeysuckle, rose, and fothergilla. As summer arrives, lavenders, oriental lilies, and Clethra/Summersweet plus all the herbs bring their delightful fragrances to the Garden. We admit to wanting to entice you to learn, to see how easy it can be to grow scented and beautiful plants in your own gardens or pots. But mostly we hope that you are enticed to slow down, breathe deeply, take in the colors, scents, and textures; to relax and get away from the many pressures of living in a highly dynamic urban culture. Come to walk through, to see what is newly emerging, to sit in the gazebo, to kneel down and notice the great variety of living things this one small piece of earth holds. We hope you will feel renewed as you experience the renewal of the Garden that happens each year here in Glencarlyn. MARK YOUR CALENDARS! SUPPORT THE LIBRARY GARDEN! 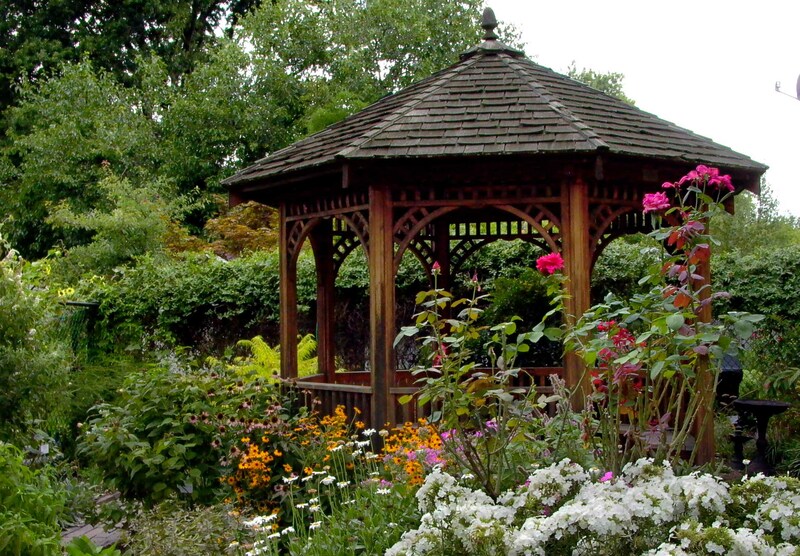 Sunday, May 1, 2016, 10 am to 3 pm, native plants, herbs, perennials of every shape and color, tropicals, ferns, shrubs, annuals and small trees will fill the Library parking lot and the patio area near the gazebo. Plan to buy your plants from us. Many have been propagated from the Library Garden, plus hundreds are from Rhonda Stevenson’s nursery Country Gardens in Tom’s Brook, VA. Master Gardeners will be available to help with plant selection and garden-related questions. All proceeds support care and maintenance of the garden.